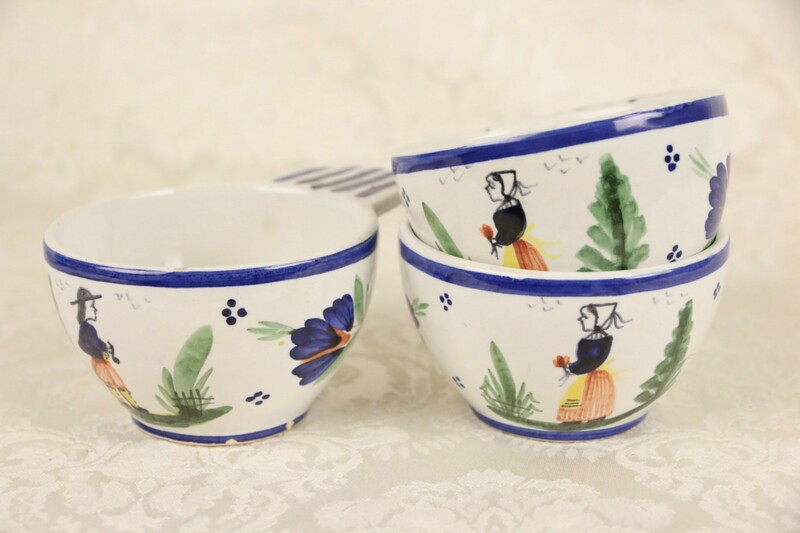 Signed "Quimper," this set of three small bowls with handles or porringers were hand painted in Brittany, France. There are small rim flakes on this pottery, see photos. Size is 3 1/2" diameter, 5" across and 2 1/4" tall. USPS Shipping is $15.00 in the US.